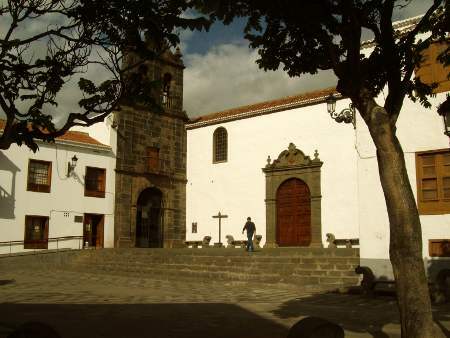 The Island’s Museum is in the old convent of San Francisco. The building itself is lovely. It dates from the early 16th century; work started in 1508, just fifteen years after the Spanish conquest. 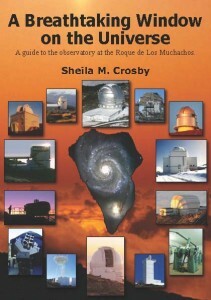 (Forty years ago, it was the technical school, and my husband studied there. It certainly looks better than the concrete box I studied in.) The church is still a church, and the music school stands beside the museum, so you often get music floating out over the square. 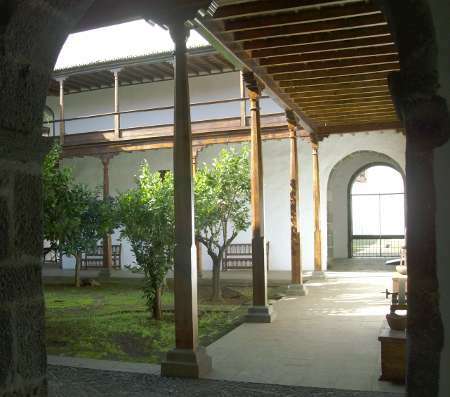 The building has two courtyards, one of which is full of orange trees, planted by the great and the good who came for the official opening of the observatory, in 1985. The courtyard with the orange trees. Downstairs, I they have woodworking tools (lots for shipbuilding), lots of sea shells, starfish, turtles, a seal, lots of birds, tools for preparing flax, wool and silk, a loom, drinking troughs for animals, straw baskets, and probably a partridge in a pear tree and a kitchen sink. Upstairs there’s a small selection of paintings (some very old) and musical instruments. For most of the year the museum is open from Monday-Saturday, 10 am to 8 pm, and Sundays from 10 am to 2 pm. In high summer (July August and September) they open Monday-Saturday from 10 am to 2 pm only. Stuffed sharks and other fish.